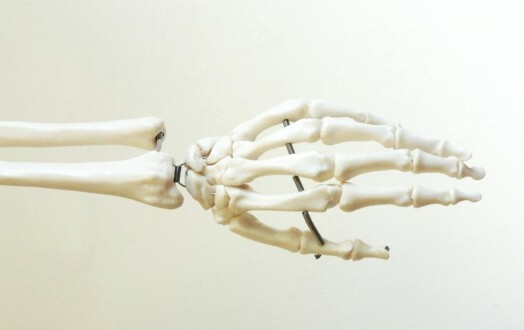 Your wrists and hands are very complex structures with multiple smaller joints between the radius and ulna of the forearm; the eight small carpal bones; the five long meta-carpal bones and finally the hinged phalangeal bones that make up the fingers. It is essential that each joint is able to articulate appropriately in order to flexibly respond to different tasks such as picking up a cup of coffee or typing on a keyboard whilst maintaining the strength needed for heavier tasks like carrying heavy shopping bags. 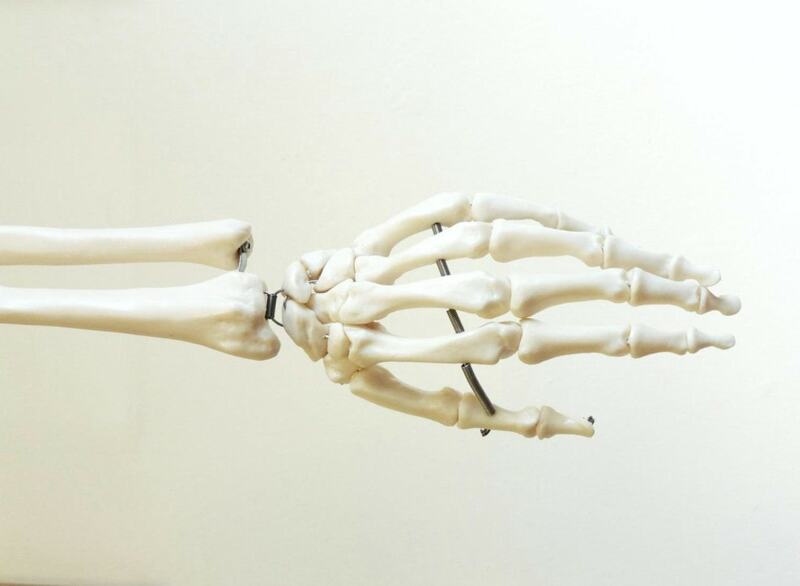 The hand is quite a small structure but it is heavily populated by strong wrist and finger flexor tendons and extensor muscles that work together to achieve complex positions. These also sit next to several large nerve structures travelling from the neck that provide the fine sensory component of the hand and much of the output for the surrounding muscles. In light of this, it becomes easier to understand how a limitation in any one of these structures can cause abnormal movement and function, potentially causing pain during certain activities. Your physiotherapist can help you to identify these abnormalities and provide an accurate diagnosis in addition to giving certain treatments that can either reinforce or loosen these structures. Generally speaking arthritis causes stiffness in one or more joints and is usually accompanied by pain and swelling. The causes of arthritis are variable but your physiotherapist can help you to understand your condition, guide self-management and advise on appropriate exercise that can help decrease your painful symptoms. Osteoarthritis: The most common form of arthritis, pain and inflammation is caused by the breakdown of cartilage on the surfaces of the joints. Rather than a smooth surface, the joint articulates on a rougher and less stable surface causing tenderness and swelling that can lead to stiffness and sometimes reduced movement. Often considered to be a condition in the older generation this can also present in younger patients with reduced bone density or who play regular intensive sport. Rheumatoid arthritis: The second most frequent presentation of arthritis seen in clinic and seen more frequently in the smaller joints of the body; namely the fingers and toes. Rather than eroding the cartilage from external factors; this is an auto-immune disease whereby the immune system confuses the smooth synovial lining of the joint as a harmful substance and attempts to break this down. As a result, the body responds with a painful inflammatory response with characteristic swelling, heat and redness around the painful finger or wrist. This can leave the joint capsule in a stretched and loosened position leaving it difficult for the joint to maintain its initial supportive position. Over time, repeated flare ups can leave the joint in a deformed position with thickened, inflamed synovial fluid limiting further movements. Typically in response to an infection although the specific cause is not fully understood. This is characteristic joint inflammation usually accompanied by scaly and red skin. In some instances, weakening of the muscles and tendons may also be present leaving them prone to damage. More common in the female population but still occasionally present in males. This condition is characterised by the breakdown of bony microstructures leaving the bones brittle and prone to damage. In many cases this can lead to early osteoarthritis but has been known to lead to a fracture. On X-ray osteoporotic bones can appear thinner and more transparent than regular bones and usually develops in response to poor vitamin D levels, hormonal change (such as a menopause) or a lack of weight bearing exercise. Your physiotherapist can advise on self-management, how to protect from developing further arthritis and keeping the joints mobile. More common in males but often classified with arthritis, gout has been known to affect both the foot and ankle as well as the wrist and hand. This is due to the build-up of small uric acid crystals that develop within the joint due to a poorly functioning metabolism caused by poor dietary choices, kidney dysfunction, obesity or diabetes. Due to the body’s inability to break-down uric acid, small deposits build yup within the smaller joints and can restrict movement. Occasionally causing painful flare-ups. This can be managed carefully with both medical and physiotherapy input. Carpal tunnel syndrome: Extremely tender and often characterised by painful tingling throughout the fingers and hand. This is often common in individuals with typing based jobs but is also present in workers with manual jobs as well. This is typically caused by compression of the median and ulna nerves which pass through the narrow corridor of the wrist and distribute sensory and motor nerves throughout the hand. With repeated compression (e.g. typing, hammering or pushing) inflammation and aggravation of these highly sensitive structures can occur. Your physiotherapist can help to offload this with splinting and gentle reintroduction of pain free movement in addition to neurodynamic techniques to improve the movement and function of the nerves. Dequervan’s tenosynovitis: A painful irritation of the extensor tendons of the thumb with significant pain when stretched. This can be caused by trauma or excessive use of the thumb muscles such as when lifting an object repeatedly. This can be conservatively managed with close support from a physiotherapist and offloading using taping, splinting and graded rehabilitation. Hypermobility syndrome: Often mistaken for being ‘double-jointed’, excessive movement at a joint can actually cause loss of function and excessive pain. This can occur at any joint within the wrist and hand and can be very debilitating. Progressive loading and active physiotherapy combined with functional strengthening exercises is typically the best treatment for hypermobility syndrome. Content created by our expert physiotherapists. 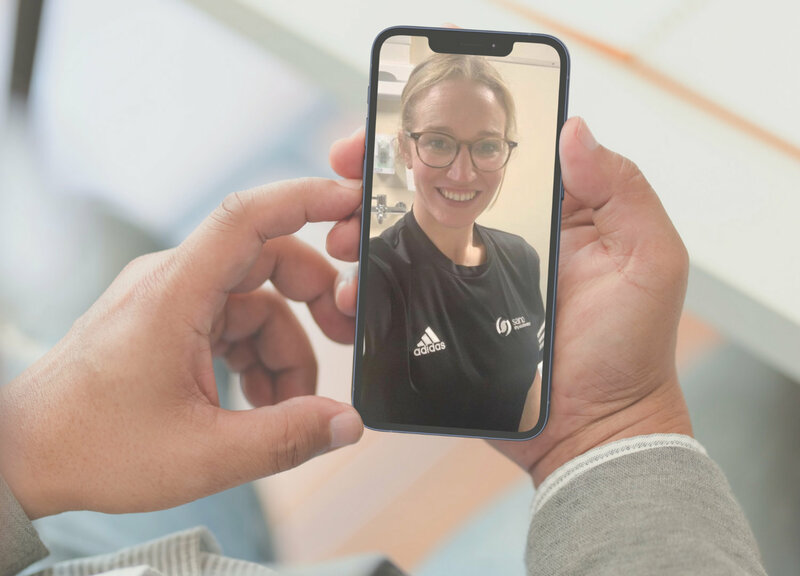 Search the clinics page to find a clinic near you and contact us to see how we could help you by calling 03300 41 46 70.